This is a psychological police procedural mystery. Let me clarify. It is a police procedural, and a personal psychological novel, woven together to make one story. 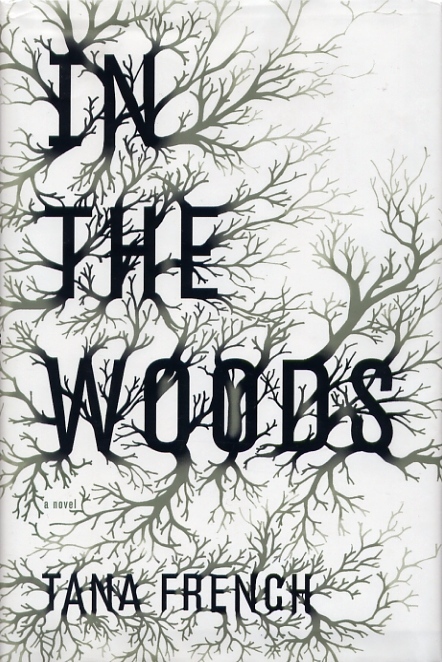 Published in 2007, it won the Edgar, Anthony, Macavity, and Barry awards for best first novel. And I can certainly see why. It is set in Ireland, in a small development outside of Dublin. Our protagonist, Adam Robert Ryan, at age twelve, along with his two BFFs, lives in the partially completed housing development, surrounded by a substantial and old wood. The three friends spend many a happy day using the wood as their personal playground. 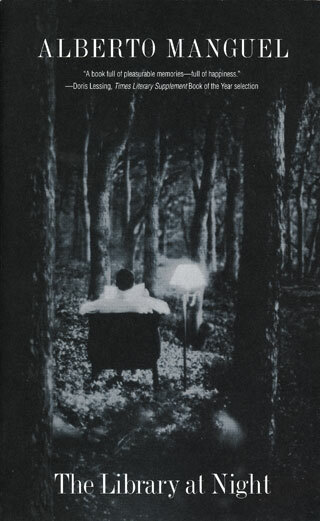 That is, until one day, the three disappear, and only Adam is eventually found, standing against a tree, catatonic and mute. Eventually after a couple of weeks, he speaks, but has lost all memory of anything before that time. He remembers nothing of the disappearance, and nothing of his previous life. He is sent away to boarding school in England, to remove him from the situation of curious and or suspicious neighbors, where he acquires an education and a posh British accent, and his parents soon move far away also, in great part because as his mother explains, she can’t bear to see the pain of the two families whose children were never found. Fast forward twenty years. Adam, now known as Rob, is a detective with the Murder squad of the Irish Police, and is essentially pleased with his life. He has a fine partner, Cassie, they are great friends, and work well together, and no one knows his history. He finally reveals it to Cassie. And then it happens: the two are sent to a murder scene at an archeological site at Knocknaree, the small town where Rob grew up. There, displayed on a Bronze age stone altar, is the body of a 12-year old girl with her head bashed in. This ignites queries as to whether this is connected in some way to the disappearance twenty years ago of the other two young people. This in turn sets off the unraveling of Rob’s carefully structured psyche, but he does not take himself off the case, keeping his secret, because he hopes to uncover some memories of either the incident or of his life before that time. An intricate, carefully plotted tale of the workings of the mind, and the workings of the police. I loved it. It is one of my all-time favorite police procedural detective stories. Every once in a while a book of historical fiction really flips my tortilla, and this was one of them. It is about the Roman occupation of Britain, set in the late-ish 300s AD, in the twilight of the great Roman Empire, and we can see first hand, up close and personal, just how the Empire’s disintegration began with small crumbling bits, until it became an avalanche. I am probably the last man alive in Britain who can claim to have marched beneath the Eagles of the Roman army of occupation in this country. Although he is Roman, he is a third generation born Briton. His trade, after soldiering, is blacksmithing, and he becomes an expert iron smith, and later a pretty darn good silversmith, too. His grandfather had found a special rock, fallen from the sky, which he spent a long time trying to smelt the metal out of. [Gee, that was an awkward sentence.] He finally succeeded, and fashioned a sword and a knife out of the mysterious metal, instruments with indestructible blades, and an unusual shine. Our Publius thereafter spent many years search for more of this mystical rocks, which he calls skystones. 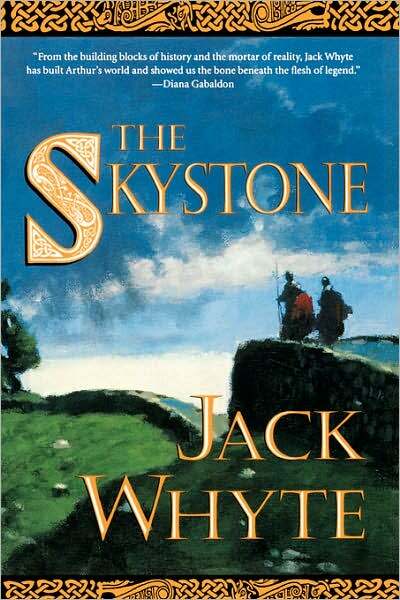 HE meets a druid who has seen a shower of stars in a remote valley, and Publius is convinced these are more of the skystones and determines to unearth them. 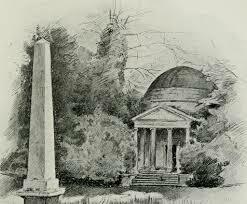 In Caius Britannicus, another third generation Brit, he had a lifelong friend and mentor. They fought together, and together founded a special group, and built a fortified encampment in the southwest, a colony similar to the Bagaudae’s colonies in Gaul. This is actually the first of a three-book series about the age of King Author, with Caius and Publius creating the basis for the Round Table, and the crowning of Author as king. One version of the book jacket has the tag: The forging of Arthur’s Britain. After moving to the colony, Publius finds those stones described by the druid, and finally is able to extract the mysterious metal from them. He fashions a statue of Coventina a Celtic goddess, and talks about making a sword from this statue eventually. From this we are to understand that perhaps Coventina will be the Lady of the Lake, and the sword which Publius intends to craft will be Excaliber. And as you have probably figured out, the sky stones are pieces of meteor, and it is just delightful how they are described and talked about with wonder. Funny how sometimes a books just grabs you, isn’t it. Ahhh, the art of the essay. Something of a dying art, I think, but in this absolutely gorgeous, wonderful, lyrical paean to libraries, books, reading, writers, and collectors of books, we have a work of true beauty. Many reviewers have called it magical, and so it is, and spiritual, and absolutely compelling. 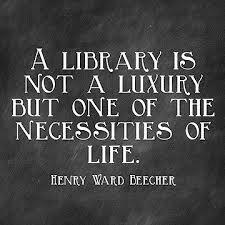 It is a love letter, and those of us who love books and libraries will all wish we had written it ourselves. This rambling examination of all that we love about the written word is broken down into thematic chapters: The Library As Myth, , As Order, As Space, As Power, As Shadow, As Shape, As chance, As Workshop, As Mind, As Island, As Survival, As Oblivion, As Imagination, As Identity, and As Home. in each chapter we have some history, well, lots of history, actually, and descriptions of long-gone libraries, history libraries, current libraries. We have musings on his own personal eclectic collection, and thoughts about how to sort one’s collection. If you like non-fiction, if you like books, if you like libraries, if you like reading about someone’s passion, this is the book for you. Go read it. I thought I would give you a little Wiki-ness on Alberto Manguel. Alberto Manguel (born 1948 in Buenos Aires) is an Argentine-born Canadian anthologist, translator, essayist, novelist and editor. He is the author of numerous non-fiction books such as The Dictionary of Imaginary Places (co-written with Gianni Guadalupi in 1980), A History of Reading (1996), The Library at Night (2007) and Homer’s Iliad and Odyssey: A Biography (2008); and novels such as News From a Foreign Country Came (1991). Though almost all of Manguel’s books were written in English, two of his novels (El regreso and Todos los hombres son mentirosos) were written in Spanish, and El regreso has not yet been published in English. I have to confess that this is one book I wish I also had in print form. Just in case the apocalypse arrives and we have no electricity. Lee Fiora is a fish out of water. No, wait. She is a teenager out of her element. 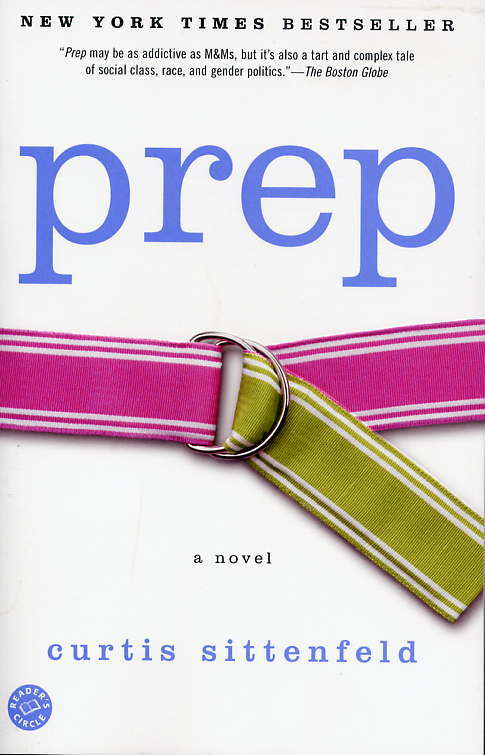 Lee is fourteen years old and attending an exclusive prep school in Massachusettes, which caters to the children of the wealthy. But Lee’s family is anything but wealthy. They are solidly middle class in Indiana, where her dad runs a retail store of some kind. She has a couple of brothers, and yearns for some new, bigger horizons. She gets the idea to apply to a posh boarding school in the East, and even manages to get a full ride scholarship. So far, so good. Her parents aren’t thrilled, not seeing what is wrong with their life and the local schools, but loving her as they do, they agree to the plan, and do their best to support her by sacrificing in order to provide plane tickets and spending money. But we all know where this is going, don’t we? She arrives to find only a few other scholarship students, only a few students of color, and feels really out of place, an outsider who can never be part of the inner circle of the carefree and careless progeny of the monied class. She doesn’t fit in. But like so much teenage drama, a great deal of her issues are of her own making. Having pre-decided that no one will want to bother with her, she isolates herself, doesn’t attend any of the functions, is silent in class, lowers her eyes when anyone tries to be friendly and talk to her, and sets herself on a course for a miserable, sad, lonely high school life. But we, the readers, can see others reaching out to her, only to be rebuffed, so after a while, they give up. She develops a mad crush on some semi-unattainable boy, finally makes a friend with whom she rooms for the last three years, but really, all we want to do is slap her around and scream “GET A FREAKING CLUE!” I find teenage drama tedious and tiresome. That’s why I don’t read much YA. If it isn’t teenage angst, it’s the lone teen warrior saving humanity. Bleh. Anyway, back to this book. Nothing much happens. For four years. The book is not really heavy on plot, but it is heavy on description and detail, which strangely enough, keeps you reading reading reading rather compulsively until you get to the end when we are offered one of those tie-it-all-together epilogs. I liked it. I didn’t LOVE it, because there is not enough substance to LOVE it, but there are episodes which explore the race, gender and socio-economic issues which make up for the ongoing, never-ending teenage stupidity factor. I think most reaction to the book is either like it or hate it. It was optioned for a movie. I raised three kids. I don’t need to live through teen drama on the screen. I’ll pass on the movie date. A fun detective mystery, starring an on-call investigator for the Richmond Insurance Company, where he investigates settlement frauds. His name is Richard Sherlock, which lends itself nicely to a lot of snappy referential dialog. Sherlock is a single parent of two almost-teenage girls, the younger of which is a member of a girls basketball team which has never won, succumbing to the Slaughter Rule of the league in every game, which says that if the score has more than a twenty point spread at halftime, the ref calls the game in favor of the higher scoring team in order to alleviate further embarrassment to the losing team. Oh, and did I mention Sherlock is their coach? Her so-called girlfriend “latched onto Raddy like calories on a donut. The impact sends the metal square rolling down the alley faster than Ursain Bolt doing the hundred meters. This case is growing faster than the Asian Flu. She’s as pale as a bleach blonde bimbo’s beehive. What starts out as an investigation as to who might have drugged Tiffany’s drink balloons into client signups by some pretty shady clients, but hey, the money’s good. An entertaining read, not a bad mystery, and characters such as “Wait” Jack Wayte, a hypochondriac’s hypochondriac, and “No-No’ Nula, another police officer who has the hots for Wait Jack Wayte. Will they get together in the end? With Tiffany’s new nice self offering advice to the physical appearance challenged, there is a pretty good chance. This the the story of three women, in three eras, at one of the large estate houses in England. The first volume, Polly’s Story, begins in 1890 when 14-year-old Polly was employed as an underhousemaid at Swallowcliffe Hall. I started the series because I had always liked Upstairs, Downstairs and Downton Abby, and have been fascinated with the aristocratic and monied life of turn of the century England. We follow Polly’s progress in her life, as various secrets of the house are revealed, as well as the different qualities of life of the gentry vs. the mostly unseen staff that kept life pleasant in the grand houses of the time. The second volume, Grace’s Story, follows the life of Grace, one of Polly’s daughters, and begins in 1914, the eve of the First World War. Grace hates the life of service to the rich, and leaves her hated job as kitchen maid to eventually become a teacher in London, much to the dismay of her mother. The war changes everything, and although the aristocracy of the time tried to carry on as ever before, the days of Polly’s life in service are moving relentlessly forward, and as the household help leaves for the war effort, and the large house is left to the care of a skeleton crew. 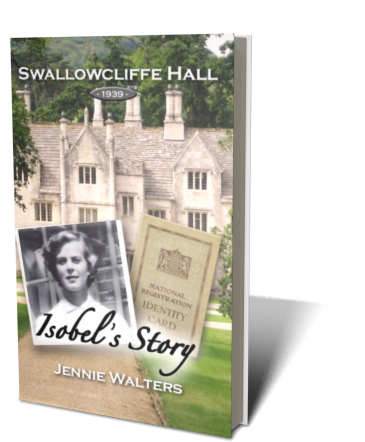 Finally, in Isobel’s Story, set in 1939, Isobel, the daughter of Grace, and the granddaughter of Polly, comes back to the deteriorating manor, staffed now only by her grandmother and a couple of other workers, in a house that used to employ over 30 servants. The grounds are uncared for, and only a few rooms in the sprawling house are in use, with the owners preparing to move out altogether. We are now on the eve of the second World War, and in this story, we meet a young German refugee, sent to England by his mother for safety, and he works for the rather nasty general store owner in the local town. Isobel comes upon him sketching the grounds of the house, and a friendship develops, which allows the author to examine the concepts of immigrants, refugees and the horrors of war. All in all, a very satisfactory chick lit story, each volume unique, but with plenty of references to the previous storyline to keep it all very interesting. It is a story of how we are like and unlike our parents and grandparents and how each generation has its own problems and issues to solve, but that we can use our roots for their solutions. I read the entire trilogy in a very short time, which is why I wanted to talk about them as a unit, rather than as separate books. 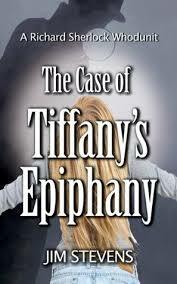 There is now out a fourth volume, Eugenie’s Story, which goes back to the time of Polly’s service. Eugenie is the daughter of that family that Polly worked for. 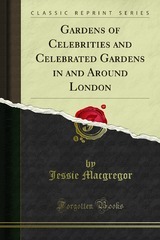 This truly delightful book, conceived in 1913 and published in 1918, is about historical gardens on the grounds of famous estates and or those owned by historical figures. The illustrations are painting and drawings by the author, and it is rather along the lines of an essay delving into history, that of British royalty and other prominent people. 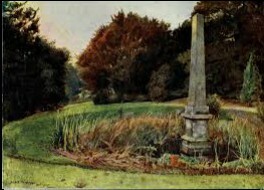 Henry VIII had done much to encourage gardening an garden-planning, and justly celebrated appear to have been the royal gardens of Nonsuch, near Ewell, in Surrey; but these together with the palace, have since been entirely destroyed. My object in this book is primarily to write about the gardens I have painted, but I desire also to interest the reader in the men and women who made, or owned, and in many cases, loved them. Therefore, I claim the right to be discursive at times, and occasionally to dwell upon events apparently irrelevant, and if I should linger longer than may seem necessary over the early history of Sir William Temple and Dorothy Osborne, his wife, it is because, as a horticulturist, he comes legitimately into my scheme and also because never was there a more chequered and prettier love story than theirs. By the end of the book, we come to see that instead of the text being a brief complement to the pictures, the illustrations of the gardens have become the complement to the engaging stories. Thirty acres. I remain speechless. Three hundred years ago, damask — so often used by the poets in describing a maiden’s cheek – meant pink, not dark crimson, as with us. The delicately-fringed sweetly-scented little flower which I was taught to call a ‘pink’ was so named, since unlike Burns’ daisy, the common example was not even ‘crimson-tipped’, but pure white. Bacon teaches us that the modern name is etymologically incorrect. Pink would appear to be a corruption of Pinct – or pinked – stabbed, pierced, decorated by scallops – as the petals of this flower certainly was. A love letter to gardens, surely, and to gardening and the pleasures of the outdoor life. Do read it if you get a chance. It is a free download on a number a sites throughout the internet, for instance here, or here, just to list a couple.